OMG I love pink and leopard so much if you didn't notice that already. So it's no surprise I am lookin' fierce in them both! I am obsessed with this new Pink Elbow Patch Shirt from Re-Designed by Two! It's so comfy and I love the vibrant pink! I just layered it over a solid black cami! 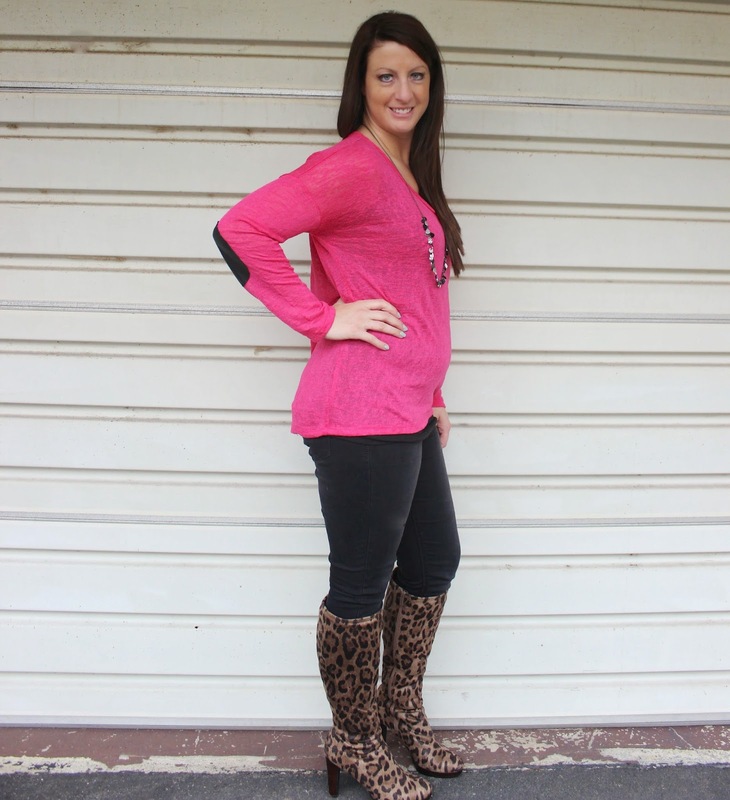 Pink Elbow Patch Shirt - Re-Designed by Two; Jeans - Maurices at Rockvale Outlets Lancaster; Leopard Boots - Impo Shoes; Necklace - Charming Charlie. Love this outfit! That shade of pink compliments the leopard print so well. 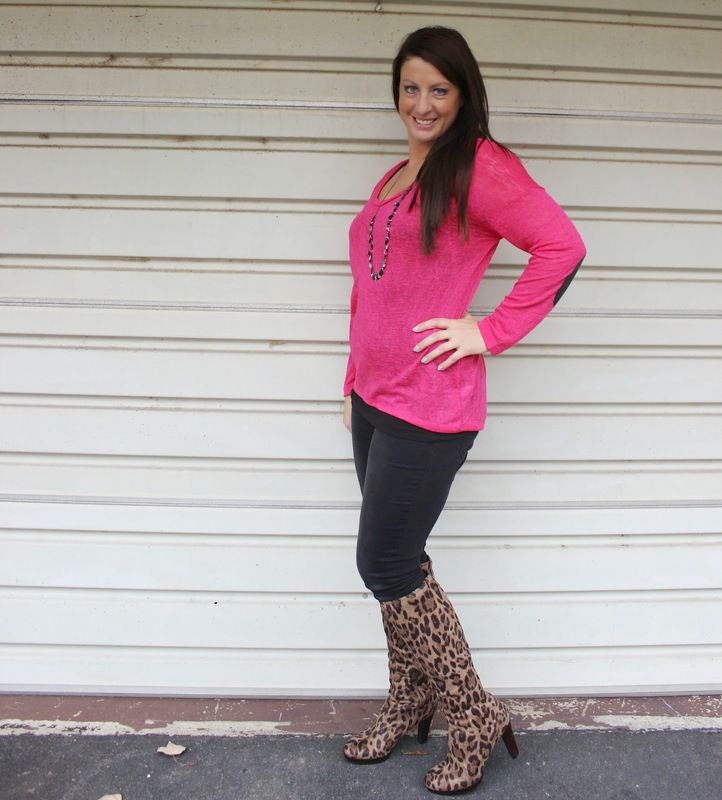 Love pink and Love Leopard ! Rocking it girl! Ellen~Those boots are absolutely fierce!